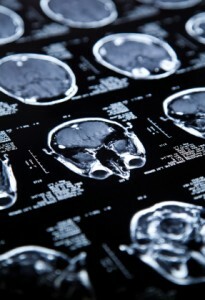 What Signifies a Brain Injury as Traumatic? There are many different defining criteria when it comes to traumatic brain injury. There are many different measuring scales that determine the severity of a traumatic brain injury. The most common of these is the Glasgow Coma Scale. The GCS scale defines the severity of the traumatic brain injury, but what determines if it is traumatic in the first place? TryMunity is happy to provide information regarding how to establish whether a brain injury is mild or traumatic. Traumatic brain injuries can be classified as either mild, moderate, or severe. Each of these has its own criteria that would determine the severity of a TBI. Depending on the final score of the SMS point scale system, you can have a quick and effective way to rate the brain injury in a quick manner. Even when you suffer a brain injury that may be relatively minor, you could still have long-lasting cognitive effects. It is important that if you have suffered any sort of traumatic brain injury, that you receive the medical care and ongoing therapy so you can recover to the best of your ability. For more information on traumatic brain injury, join the TryMunity community today. We are all in this together!